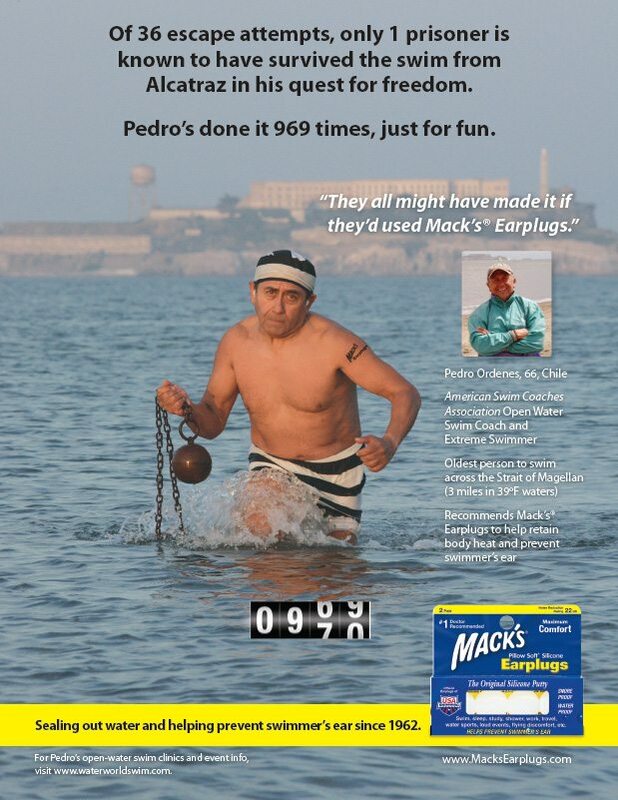 In 2013, Mack's Earplugs and Water World Swim celebrated their 10th year of partnership. WWS Founder and Coach Pedro Ordenes is one of the world's premier open-water extreme swimmers and coaches, with certifications by both the American Swim Coaches Association and the World Swim Coaches Association, holding several records across the world. "Pedro is not only a true advocate of our products, but also a friend of the Mack's family," says Pete Benner, Mack's National Sales Manager. "Like many, we are truly inspired by his dedication and accomplishments." 66-year-old Pedro braves some of the coldest and most challenging open water swimming courses nature has to offer, wearing only a swimsuit, cap, goggles, and Mack's Earplugs. Pedro touts the many benefits of Mack's Earplugs, which he considers key equipment, to his students and athletes during open water seminars, training sessions, and events around the world. These comfortable water-proof swimming earplugs for kids and adults block out water and help prevent swimmer's ear (otitis externa) and surfer's ear (exostosis). 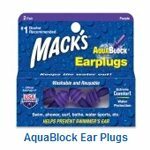 Mack's swimmer's ear plugs are also great for surfing, showering, kayaking, rafting, snorkeling and bathing. With Mack's waterproof ear plugs for swimming, you can hit the shower, waves or pool with confidence. 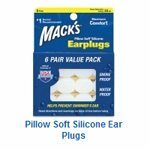 Since 1962, McKeon Products, Inc. has led the retail ear care industry with its original and #1-selling Mack’s® Pillow Soft® moldable silicone ear plugs. 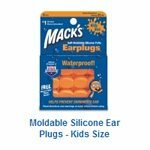 Mack’s® is the #1 doctor recommended ear plug brand in the U.S., with a variety of hearing protection products designed for sleep, travel, music, swimming and shooting sports. 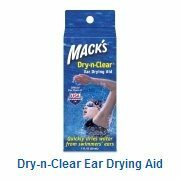 Mack’s® is also USA’s #1-selling brand of ear plugs and the official ear care line of USA Swimming. Today, McKeon manufactures a full range of moldable and pre-molded silicone and foam earplugs for all your hearing protection needs. The Mack’s® line of products also includes ear drying aids, earwax removal aids, nasal devices, sleep masks, ear muffs, and screen and lens wipes. disease. For this reason it’s good and safe to wear ear plugs. For swimming as you need to get into the water so you need to wear some quality and valuable ear plugs.